Description of decorations: Predominately clay, some sand and peat added through. A big branch dominates this scenery, some leaves and decomposed organic debris to finish. Description of the area surrounding the biotope: RA billabong is more commonly known as an oxbow lake and is formed when the path of a creek or river changes, leaving the former branch behind. These billabongs can have different characteristics, from permanent to temporarily, freshwater to saline, shallow to deep. Nimrod Creek is a tributary of the Wenlock River with a length of almost 70 km and is one of the largest tributaries of Wenlock River. Wenlock River is situated in FarNorth Queensland and flows north-west through tropical savanna and various differing wetland types. Wenlock basin has the highest diversity of fish species in Australia (48 species). As a result of different vegetation types and both the pristine conditions in this sparsely populated area and the wide variety of substrates, the Cape York Peninsula has a relatively high degree of endemism in biota in comparison with other Australian rivers. 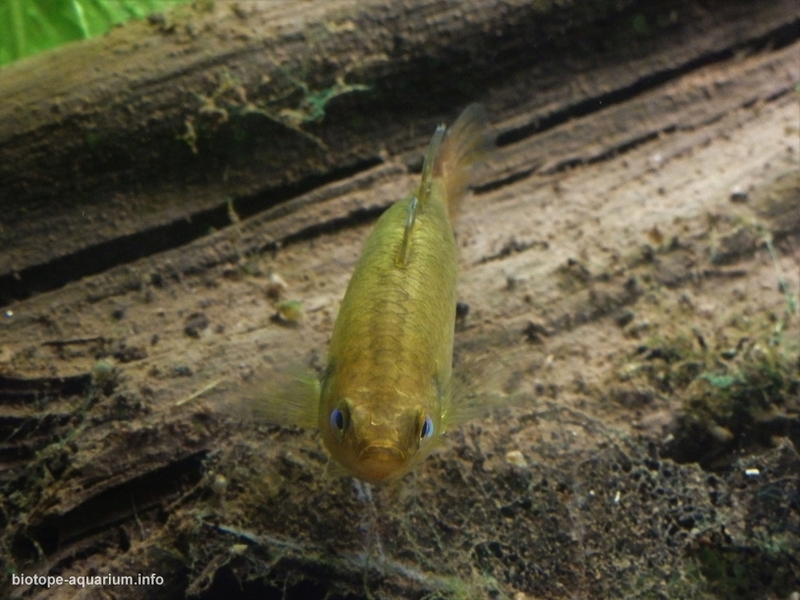 Australian rivers typically exhibit low levels of endemism due to the lack of primary freshwater fish and low topographical variation. Many of the species are also found inFly River basin in southern New Guinea, as in the recent past (before sea levels in Torres Strait rose at the end of the last ice age); previously the region was one combined land mass. This biotope is a permanently wet billabong that plays a crucial role as a refuge for ichthyofauna during the dry season. 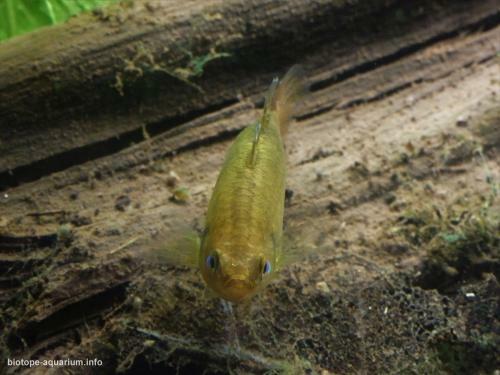 The vegetation is highly appreciated by smaller fish as a place to hide for predators and looking for food. 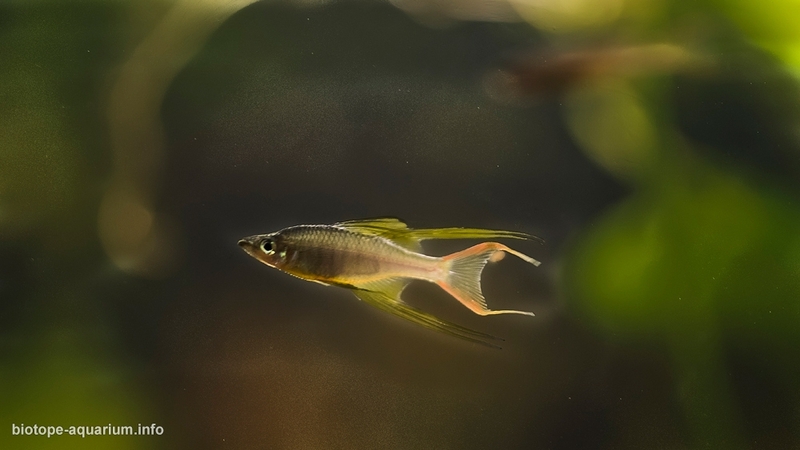 Conversely, during the wet season some of the fish species migrate freely between water bodies, since many water bodies are connected through floodplains; some species require brackish water for breeding. Fish composition and density change dramatically with a peak during late wet season/early dry season. 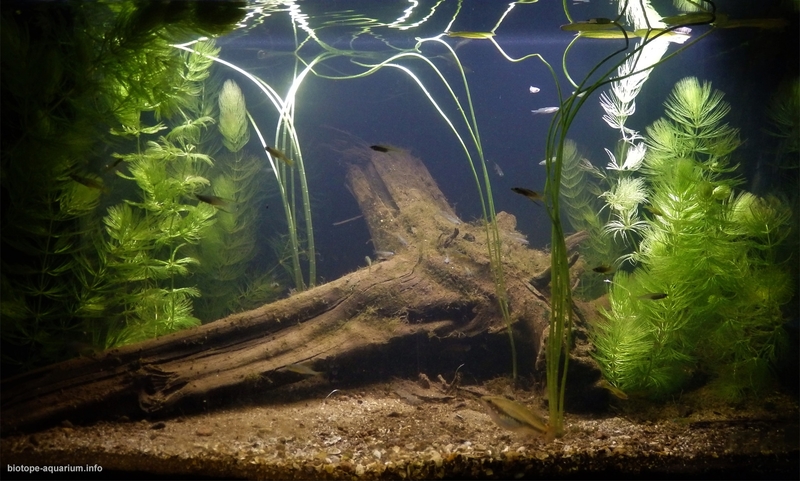 Description of the underwater landscape of the biotope: This biotope aquarium simulates the transitional zone between the edge and the deeper parts of a permanent billabong near Nimrod creek in the Wenlock river basin during the dry season. This freshwater billabong lies in an undulating landscape. It is surrounded by woodland and has a clay bottom with organic debris. Description of the parameters of the habitat: Water parameters are highly variable in these environments (22-30°C, pH 5-7,5) and highly influenced by monsoon. List of fishes: Ambassis sp., gudgeons (Hypseleotris compressa, Oxyeleotris nullipora, Mogurnda mogurnda), Melanotaenia splendida inornata, Iriatherina werneri, Pseudomugil gertrudae, and many more. One can also find Cherax spp and Macrobrachium rosenbergii in these billabongs. List of plants: Typically in the riparian section of this billabong one can find Barringtonia acutangular and Melaleuca spp. At the margins Staurogyne leptocaulis and Limnophila sp. are found. In between one can find Ceratophyllum demersum and Blyxa aubertii. In the somewhat deeper section one can find Nymphaea/ Nymphoides sp. The deepest parts have no aquatic vegetation or floating species. 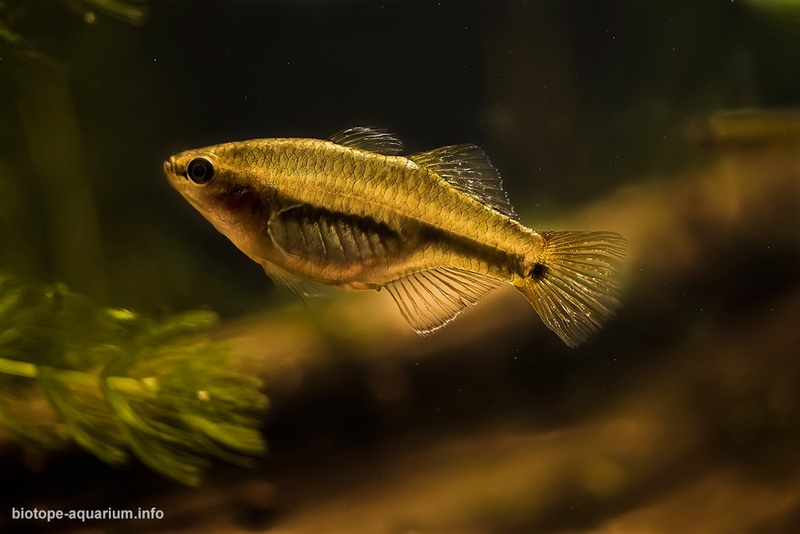 Threats to the ecology: Although Wenlock river catchment is rather pristine, different stress factors can influence these vulnerable ecosystems. Bauxite mining for Aluminium and introduced foreign species are possible threats to water quality and local fauna and flora; this region of Queensland is home to one of the worlds largest bauxite mines owned by Rio Tinto. Nimrod Creek lies in the Steve Irwin Wildlife reserve, dedicated to Crocodile Hunter Steve Irwin. On 20th November 2013 the Steve Irwin Wildlife reserve was officially declared as ‘strategic environmental area’ and protected permanently from mining. With this official status it should be easier to cope with different stressors and protect this extremely valuable area. Sadly enough Global warming has an unpredictable influence on quality and quantity of the water. But no need to say that in extremely hot and dry circumstances, billabongs that are now permanent, can dry out.